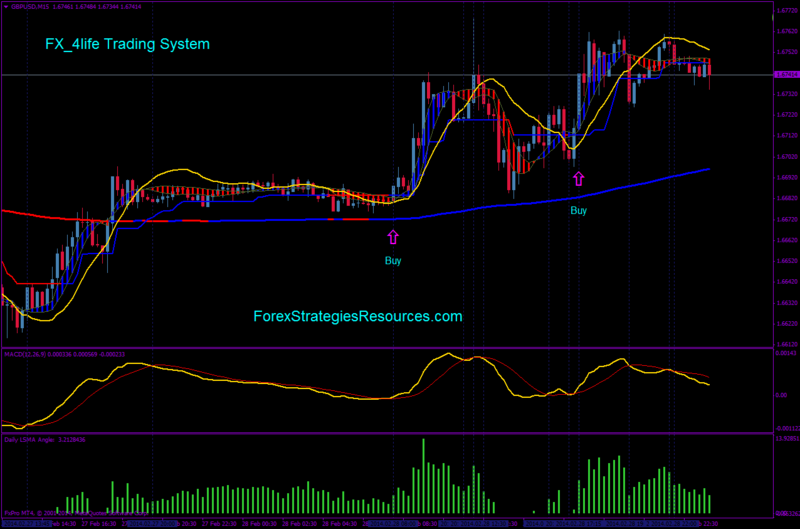 FX 4life Trading System is an trend following forex strategy based on the Non lag ma indicator. Time Frame 5 min, 15 min, 30 min. Currency pairs: EUR/USD, GBP/USD, AUD/USD, USD/CHF, GBP/JPY, EUR/JPY. Open a trade when all the indicators are in the same direction and a Daily SMA Angle is green. Daily LSMA Angle is green. 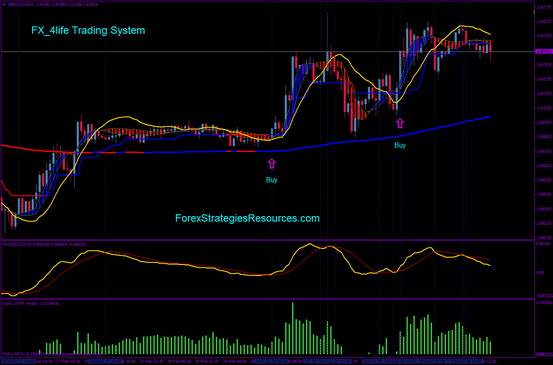 Exit Position is discretionary remember only to place initial stop loss on the previous swing.